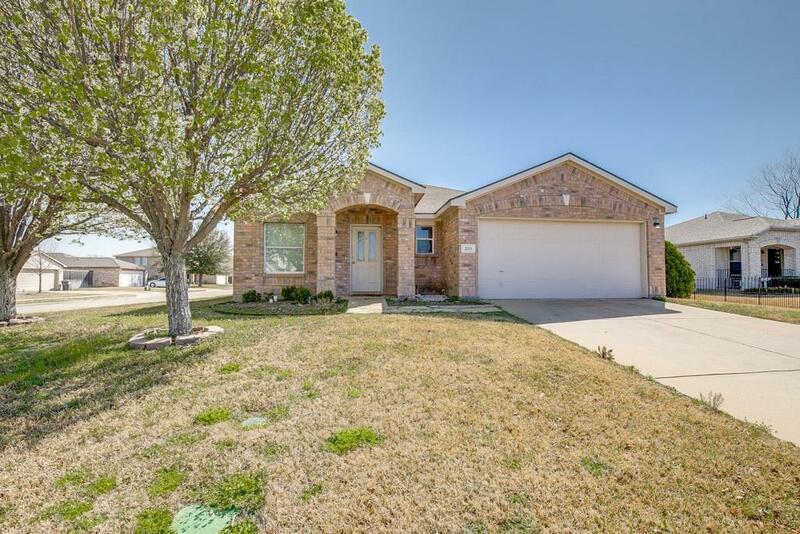 Welcome to this beautiful 3 bedroom 2 bath home that sits on an oversized corner lot. 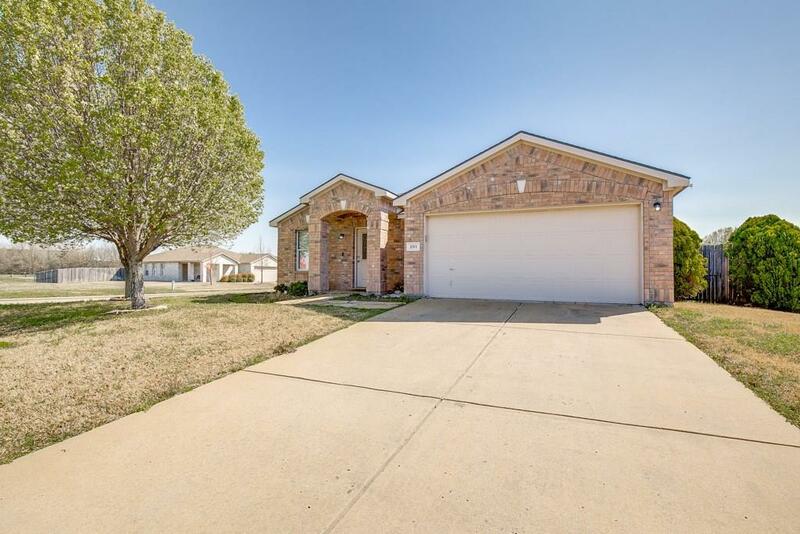 Inside you will find an inviting floor plan with upgraded laminate wood flooring, grey paint through out, designer light fixtures, large living area with decorative wood burning fireplace, recessed lighting, large eat in kitchen that opens to the living area, nice size master bedroom with separate shower and garden tub. Both secondary bedrooms are away from the master bedroom. 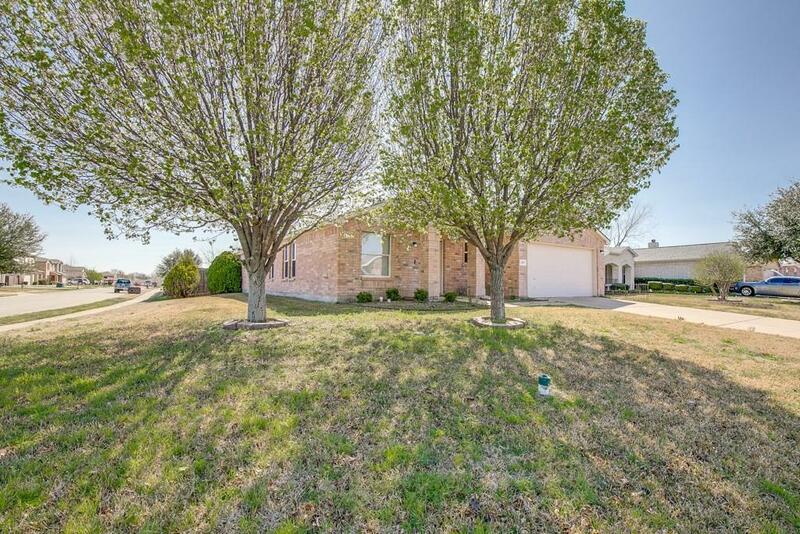 Outside you have an open patio, large grass back yard and storage building. A MUST SEE! 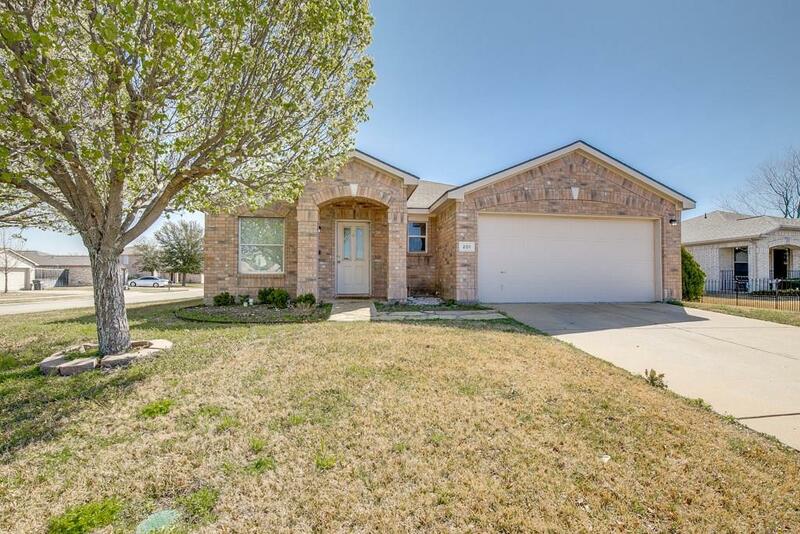 Offered by Matthew Johns of Keller Williams Rockwall.